I might have been a bit wrong on the Al Mas by Amouage and Sedra by Haramain being the same. Similar, but not the same. And now I don’t know how to proceed. Attars are a completely new area for me and I seem to have ideas regarding attars that are wrong. 🙂 Well, they were right for the first 3 I tried, and then I tried Attar Mubakhar and it turned into this soapy, sea-like thing (which I seriously don’t like and enjoy) but after a while it really wasn’t that bad (as in smelling too much of soapy sea) and I can start with that. It turns out (at least for me), attars are shapeshifters. Usually with perfumes you can guess where they might evolve and what you might expect. But all the attars surprised me (pleasantly I must say), including the sea one. That was a real surprise. Anyway, I thought that attars were all dark and had this desert-like base, dry but at the same time full-bodies, arid and spicy. Strange actually. I really need (and want) to experience the desert. So, I decided to try Sedra and Al Mas at the same time to compare them and see if my initial thought were correct. Of course, it would be extremely inconvenient to have these 2 smelling the same for such a wide money difference. Honestly, I lean toward Al Mas. 🙂 But that’s probably because Sedra displays more rose than Al Mas and I’m still not a fan of rose. First off, let me say that most of attars I tried (less than 10 so far) are these oudish, rose, dark thingies. So, no wonder I thought smelling them apart that Sedra and Al Mas were the same. The truth is, smelling them side by side, Sedra starts more bitter (as in rose) and oudish than Al Mas. I would never thought I’d say after my first try of Al Mas that it was mellow, but it was more mellow than Sedra. I thought it had some cedre hints but I was wrong – one of the notes is sandal (that is the most similar I could find). I couldn’t find any notes for Sedra, all I found was that it was oriental and spicy. When first smelling Al Mas, I thought the rose was prominent enoght but when compared to Sedra, it really does not make any kind of important appearance. This rose in Sedra also makes it more feminine than Al Mas, which seems very unisex and more oudish than Sedra. Also. it seems more competently blended. This sounds wrong now – what I wanted to say is that Al Mas is so round and complete, nothing peeks out strongly while in Sedra I can smell the rose quite well. And then it started. First, I got this camphor/minty? note in Sedra which I have no idea where it appeared from some 2 hours into application. And then also some fruitiness peeking out. Al Mas remained a warm background on my other arm at that time. And then it hit me for both. They seemed to have blended with me (or more precisely my skin). It was like I rubbed them in, which I didn’t and anyway, that would be obvious from the start if I had done it. My guess is, my skin absorbed it and it just became part of me. I loved that part because I almost never feel the perfume becoming one with me, it is always a part that is with me not me. everyday (work) wear but they are something. Wow, cool stuff.. I don't even want ot come near attars because I know I will get addicted if I do. I had no idea they were such shapeshifters; darn it, now I want to try them!! Great post, and great writing, as usual, Ines! I think "shapeshifters" is a really cool way to think about some of those Middle Eastern oils I've tried (not all of them are called "attars"– I'm thinking of the Abdul Samad al Qurashi line with things like "Water Lily Oil" and their other oils.) 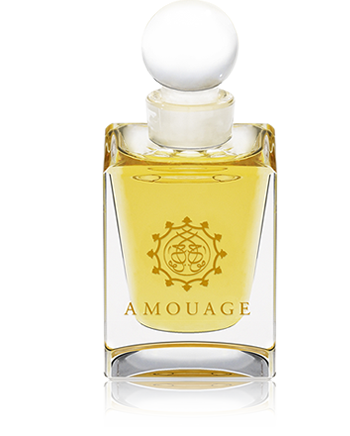 They tend to be so *deep* but they do just keep changing and changing….I've never smelled an attar that didn't have the mondo aoud base, so I always link those two things in my mind– I've tried Amouage's "Al Shomukh" and "Tribute" attars– and you know me, Ines– scent adrenaline junkie, but those two are WAY too strong for me.